It’s hot in Japan. Hot enough to melt a dashboard rubber duck into a forlorn pool of gooey plastic. And hot enough to make thousands of people intent on proving or disproving the authenticity of a now-viral tweet. The initial tweet, posted yesterday and already garnering close to 500,000 retweets, depicts a small green duck succumbing to the heat and becoming the flat-faced avatar of humid summer doldrums. It reads “This is the worst, I can’t believe it.” But take a look at those two photos again. The radio looks the same. The duck and duck puddle are the same color. But doesn’t the top of the dashboard look... different? Some people sure thought so! And they responded by marking up the viral photos with the kinds of numbers, scribbles, and question marks most commonly associated with the “shocking proof! !” pictures made by folks who are absolutely convinced the moon landing was faked by a crypto-Hollywood cabal on a New Jersey soundstage. A conspiracy theory (resembling a detail-oriented riff on The Dress) was hatched, with competing factions of Japanese Twitter users attempting to show how these two pictures absolutely are/absolutely cannot be from the same car. Our cohorts over at Jalopnik determined the vehicle to be a Honda That’s (no that isn’t a typo) and, sure enough, the car’s brochure depicts a version of the dashboard seen in the tweet. But who are you going to believe, the car’s manufacturer or people on Twitter with a lot of free time? “To all those who are saying the two pictures are showing different objects, look at this. I think (3) is a vertical angle. Please check my work,” user @saw_spla replied, mocking up a hand-drawn multi-angle interior of the That’s, complete with a color key. It’s certainly strong evidence of... something. Another user, @jaioki_Nono, took it one step further, however, firing back with a full 3D model. 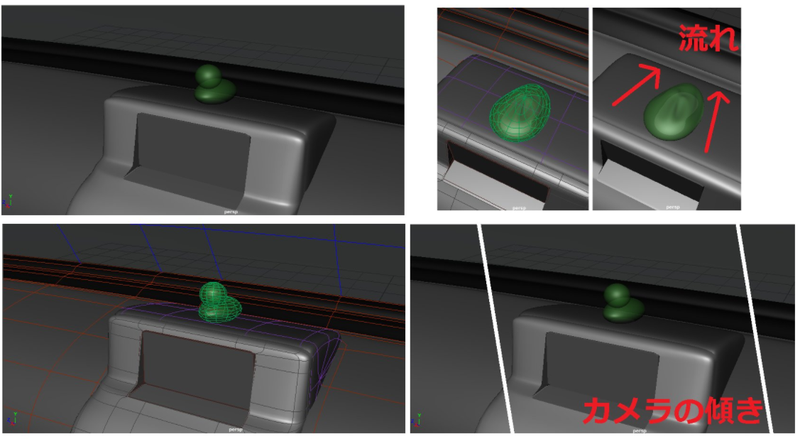 From the model, it seems like the discrepancy between the initial photos is a result of perspective foreshortening the top portion of the dashboard in the first image, when in reality it’s much longer and perfectly capable of containing one duck’s worth of liquid plastic.